EcoQuest: The Search for Cletus was the first of two educational adventure games for children about the environment. In this adventure, Adam and Delphineus seek the whale king of the underwater kingdom of Eluria. EcoQuest is now supported by ScummVM, a program designed to let 2D adventure games run on multiple platforms. 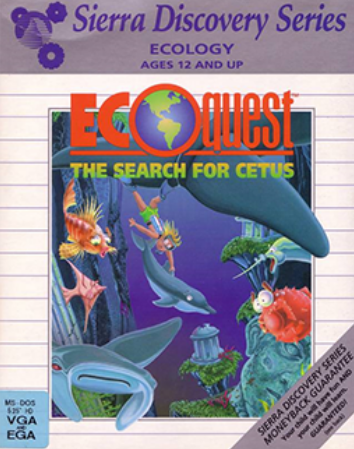 With ScummVM, EcoQuest now runs on modern versions of windows, as well as Linux, Mac OS X, and many consoles such as Dreamcast, Wii, PlayStation 2, and PlayStation Portable. For a complete list of platforms supported by ScummVM, see here.